If you enjoyed Matt Holborn’s band last year then this is definitely for you. Trish Clowes has been on an rapid upward trajectory since before leaving college. 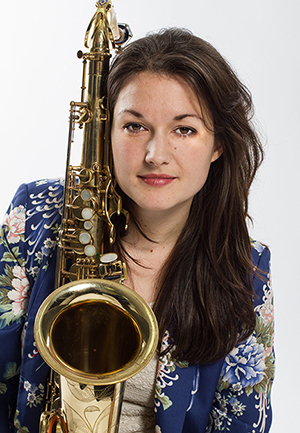 She was quickly recognised by the BBC and made a “New Generation Artist” in 2012 which culminated in her commission to write a suite for them performed at the 2014 London Jazz Festival and which won a BASCA Composition award the following year. She has worked with the cream of UK’s jazz musicians of her and older generations and is universally complimented for her writing and improvisational skills. Her latest project evokes the multifaceted ‘Iris’ – a Greek mythological character who pops up frequently in the works of Shakespeare. This is developed from recent musical collaborations and features new material written for the CD recorded in 2016. Latest CD: My Iris debut CD to be launched this month. Wakefield’s Rory Ingham was always an ambitious trombonist and came into his own when he formed this band with fellow students at Chethams Music School in Manchester. The bonus was that Alex Bone (alto) was made BBC young musician of the year soon after. They have played twice before for us, as a support band and with Liane Carroll’s last performance. 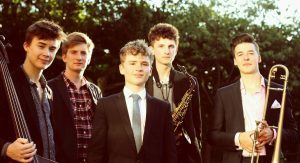 Since then they have gone from strength to strength, Alex performed at the Proms, Jazz North made them their “Introducing” band and they have played many Northern Festivals. Recently Rory was adopted by a local brass instrument firm to endorse their trombones. The new material and extra experience now makes them a wholly credible band in their own right. 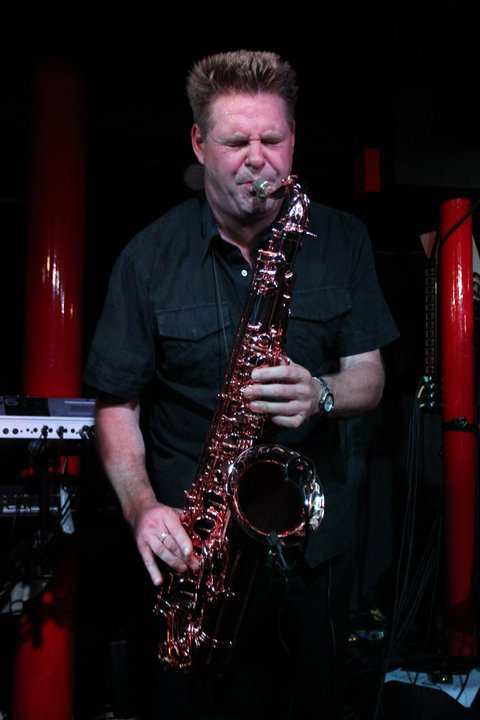 Leader of Sax Appeal and co-leader of Protect the Beat, Derek has always known how to create a popular band. His charismatic appeal also earns him a place in Jools Holland’s band. If that weren’t enough he runs his own recording studio and has been responsible for the introduction of many young jazz stars. This new project features the cream of his generation of jazzers in sympathy with his desire to entertain and delight. Make no mistake, this gig will be a lot of fun. 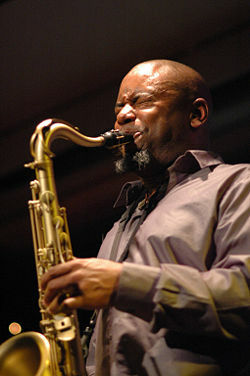 New York based saxophonist/composer Seamus Blake is recognized as one of the finest exponents of contemporary jazz. 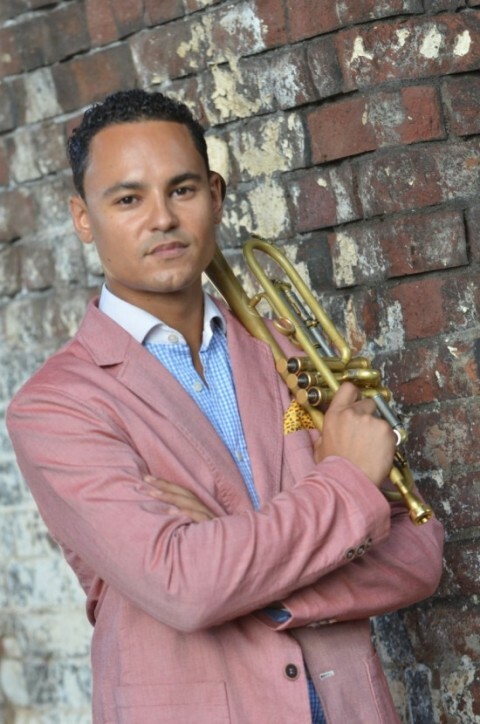 His music is known for its sophistication, bold improvisations and “sheer swagger”. 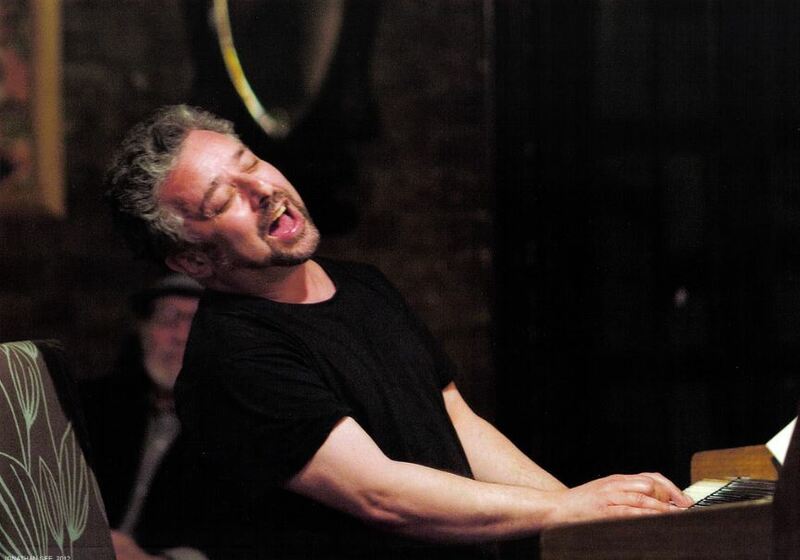 He has been a feature on the New York scene for 20 years, especially as a featured soloist with the Mingus Big Band. In February 2002, Seamus took first place in the Thelonious Monk International Jazz Saxophone Competition in Washington D. C. As the winner, he performed with Wayne Shorter and Herbie Hancock. 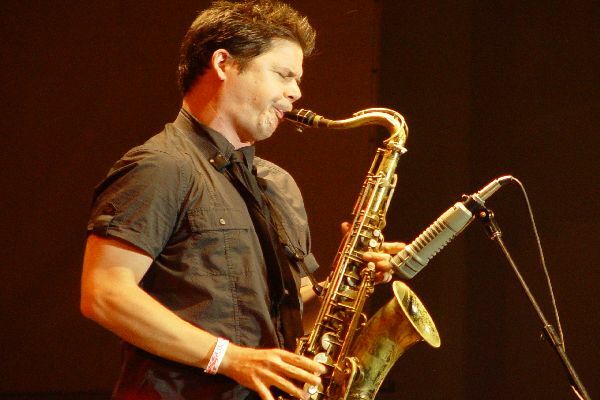 He has also played and recorded with John Scofield, Gonzalo Rubalcaba and Dave Douglas in addition to 16 CDs under his own name and 70 others as side-man. 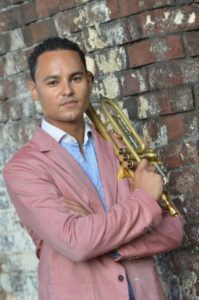 It is a coup for this project, co-organised by Apollo Jazz and Norvol Jazz, to have made it possible for him to visit the North of England for exclusive appearances such as this. Although born in the West Midlands, Dennis developed as a musician in Doncaster under John Ellis with whom he still has close connections. 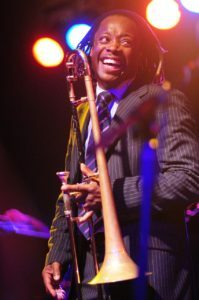 He went further with the Jazz Warriors and then played in various bands including the funk fusion groups Us3, Jamiroquai and Brand New Heavies, with whom he toured the USA. He stayed in the funk idiom with his own successful band Badbone & Co. and then veered back towards jazz with his organ trio The VelocityTrio. He brought them to Wakefield in 2014. Here he extends the trio to include Arnie’s bass, and Matt Home (drums) replaces Pedro Segundo. 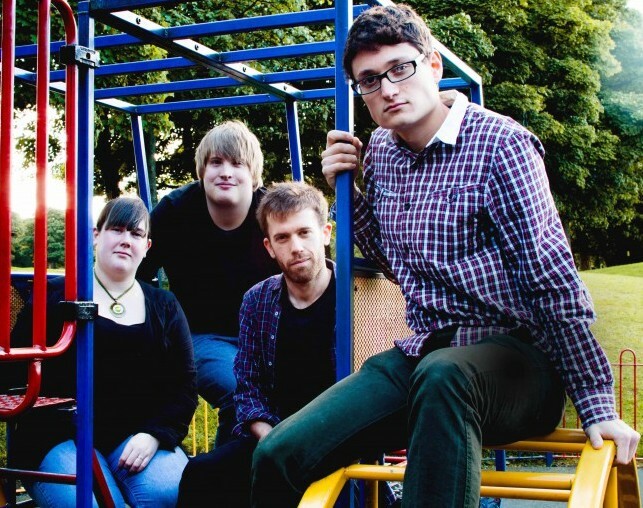 This band has the dual qualities of presenting an accessible show while playing good jazzl. Pat is based on the Lincolnshire coast where he has worked with many of the jazz stars passing through the Grimsby club and has co-operated with Gill Wilde in curating the Cleethorpes Festival. An indefatigable player, he has always run a band of his own and this latest project is enhanced by the lovely singing of Shannon Reilly – a real find. With Thom Whitworth to add to Pat’s soloing and Warren’s dependable bass playing you will be entertained by straightahead jazz with plenty of banter. Angus published a paper on the rÔle of wavefront kinetics in small scale wrinkling in the journal “Soft Matter”, but this was a hobby sustained by his artistic expression through music. His band Scrapbook has gigged around London for some time and its growing reputation has led to an eponymous recording which they now celebrate. 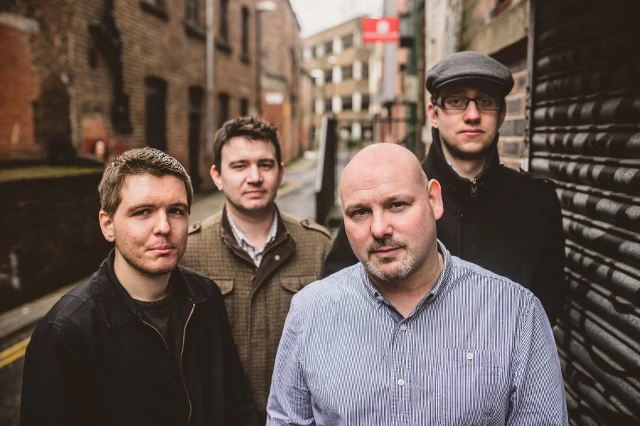 Sitting somewhere between jazz, folk and rock, Scrapbook’s music is a collection of heartfelt odes, underpinned by chord sequences that tell a story in their own right. Each musical theme is in it for the long game; pretty melodies dance and swell over the course of minutes, gradually transforming into fierce and fiery chordal riffs loaded with dark and beautiful harmony. Tali Atzmon had a starry career as actress and singer in Israel until she became a mother. Since then freelance photography and filmaking have given her time to bring up her family and retain an involvement in the arts. 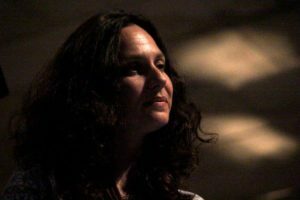 Now she is returning to the stage with an unusual band which gives her and Gilad an opportunity to explore areas of music-making distinct from what we might normally associate with Gilad. He has, however, arranged the music, produced the album and added a very individual baroque musician to the group to give it a distinctive sound. You won’t find a viola da gamba in any other jazz ensemble. Talinka is a musical attempt to defy the boundaries between styles and genres. It is where folk, early music, jazz and tango merge into simplicity, harmony and warmth. The band plays original materials but it also treats the American songbook in a refreshing manner. 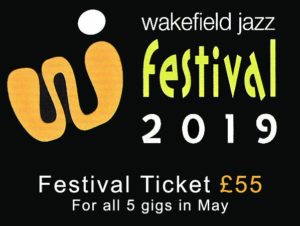 Zoe has been a favourite at Wakefield Jazz since she burst onto the scene with her quartet featuring drummer Gene Calderazzo with whom she had a fascinating rapport. Her own music is quirky and very personal, at times having explored both her father’s Bengali heritage and her mothers’s Irish influence. She was recruited into Courtney Pine’s band where she stood out as the exceptional soloist she is. This partnership developed into many duo performances with Courtney on bass clarinet, in which the fluid creativity of Zoe’s playing encouraged him to reinvigorate his own jazz chops. 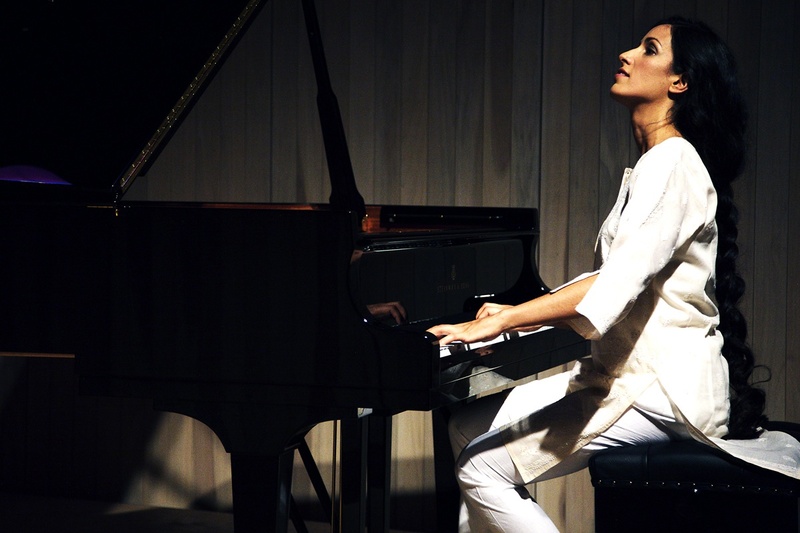 Now British Jazz Awards’ pianist of the year and nominated for Jazz FM’s Instrumentalist of the year, she has hit a high which we shall be proud to showcase. Solo presentations are demanding events, but Zoe’s winning personality and widely varied musical styles add to her impeccable jazz capabilities to produce an absorbing /engaging evening’s music. Solo presentations are demanding events, but Zoe’s winning personality and widely varied musical styles add to her impeccable jazz capabilities to produce an absorbing /engaging evening’s music. Pete Oxley has been visiting Wakefield for many years and Nic Meier has been a couple of times. Now they join forces to present a modern duet combining Pete’s essential Englishness with Nic’s Euro – Middle Eastern influences. Both are absolute masters of the guitar, though with their own traits in technique; Pete’s Charlie Christian / Joe Pass style contrasts with Nic’s rock-influenced Mike Stern style. Together they can cover it all, electric and acoustic. 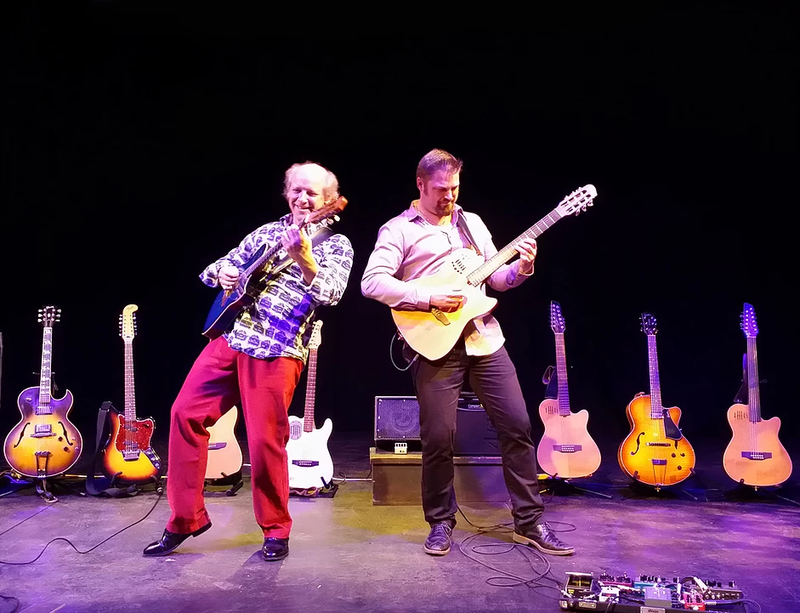 Thanks to their carefully crafted compositions, they demonstrate the qualities that make the guitar duo such a rewarding combination, making use of various guitars, layered at times to symphonic effect. What’s also readily apparent is their undoubted technical skill and obvious joy in playing. They will feature numbers from their three albums together, the latest released just last year. Quite an achievement when Nic spends much of his time touring the world with Jeff Beck. So expect a dazzling display of contemporary fare, ranging from Turkish panache to soundscapes of Latin America to English pastoralism. What’s more, hear this played on nylon string, steel string, electric, 12-string, fretless, slide, synth, glissentar guitars and more! Two guys and 10 guitars. Expect the unexpected! 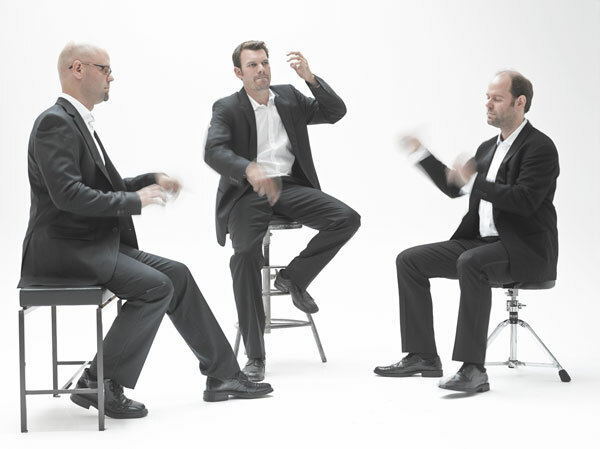 This trio has had a ten year life in Switzerland and has toured the world with Americans Greg Osby and Dave Leibman. They have released a CD each year since 2006, often featuring American soloists, and their latest will provide some of the material for this concert. The brothers Arbenz are both classical and jazz performers and have recorded in both fields. Thomas is the youngest member of the group. 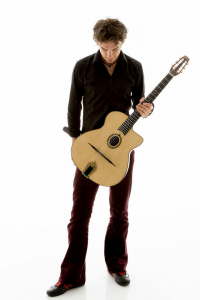 Trained at the Basle Music Academy, he too has performed in classical and jazz genres. 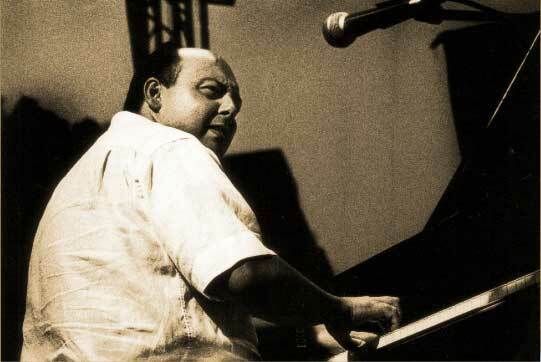 Florian achieved the European Award of Culture in 2000 for his contribution to music in the widest sense. 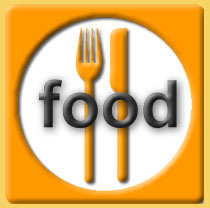 So we can be assured of top rank playing with an engaging audience appeal. Performing original compositions with energy and driving grooves as well as music from great contemporary jazz composers, Firebird Quartet deliver enough sophistication for any contemporary jazz aficionados but with a sense of groove that any audience will enjoy. Very local musicians (Leeds and York) these guys have been playing around the North for some time, however in this band a happy coincidence of intentions has coalesced to produce a really successful outfit. Regular playing and happy audiences have shaped performances which will. I guarantee, be much appreciated in Wakefield. 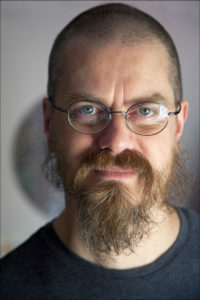 Jay has become a much in-demand international musician since his last appearance at Wakefield. He plays in a wide range of styles beyond jazz which gives him added appeal. His jazz credentials include playing with and leading Wynton Marsalis’ Lincoln Centre Jazz Orchestra and hosting the late show at Ronnie’s for a period. He has also appeared in the theatre (Peter Brook’s “The Suit”) and on TV (BBC 2’s “Dancing on the Edge”). The gig will feature arrangements not just by Jay but by virtually the entire band, showcasing their strong individual voices. With support from the Alexander Fisher trio at 7:30 pm. Jonathan Gee has a long history of appearances at the club and was commissioned to compose a piece to celebrate our 25th anniversary in 2012. In fact he brought a whole set of pieces “The Wakefield Silver Suite” and asked Tim Whitehead to join his trio. It is a huge pleasure that the same band is able to join us once more in our celebratory Festival Month. Further, they promise to play our suite again, many pieces from which have become a regular part of Jonathan’s repertoire and have developed considerably since our first hearing. Both musicians are highly respected as players and composers and we are delighted they will highlight this anniversary. During his life Stan Tracey took his family for many holidays to the island of Malta. Unsurprisingly, he had contact with the jazz community there and high among them was a pianist, Sammy Galea, father of Dominic Galea. Both Sammy and later the young Dominic studied with Stan and occasionally played in the UK. Dominic’s talent has been largely restricted to his homeland, until now. Clark is bringing him to the UK for a short tour of venues with good pianos and has put a quartet together to support him. He is an award-winning composer, member of the Malta Council for Culture and Arts and teaches at the University of Malta. He has played and recorded with an international band which included John McLaughlin. Denys is a Mercury and MOBO winner as well as BBC and Parliamentary Jazz Awards winner (for best album). He rarely records these days but has been stimulated to return to the studio by the 50th anniversary of the passing of John Coltrane, for whom he had enormous respect. This tour will feature the work prepared for that recording and brings out of London for another rare appearance the wonderful pianist Nikki Yeoh. Long term associate from Tomorrow’s Warriors, Rod Youngs (drums), and Neil Charles (bass) complete the quartet. Much of John Coltrane’s music is documented as records and CDs but sadly few artists perform this later works and as a result some great melodies are unfamiliar to audiences. Dusk Dawn, Crescent Living Space, Vigil and After the Rain are some of the compositions performed during, ‘The Late Trane’.